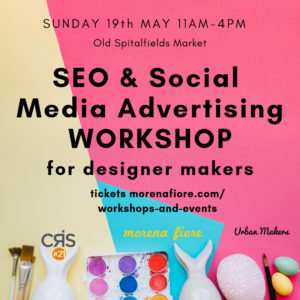 Are you a designer maker and sell your makes on your own website? 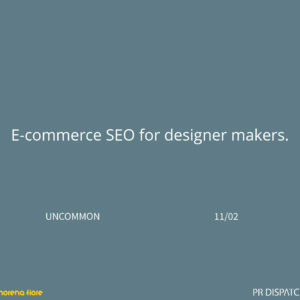 Ever wondered how to get more visitors and sales on your e-commerce website? While there isn’t a ready and quick solution, there is a lot you can do every day on your website to work towards that goal. Join Morena Fiore-Kirby, freelance Web Developer at morenafiore.com and designer maker of geometric jewellery at Kodes in an evening SEO workshop where you will get to do practical exercises to get your e-commerce SEO into shape and learn the most important SEO rules for your e-commerce site, without it getting too technical. You will need to bring a tablet or laptop so you can do the exercises based on your website. If you don’t have one, don’t worry, there will be plenty of notes and handouts you can take home and do the exercises there. 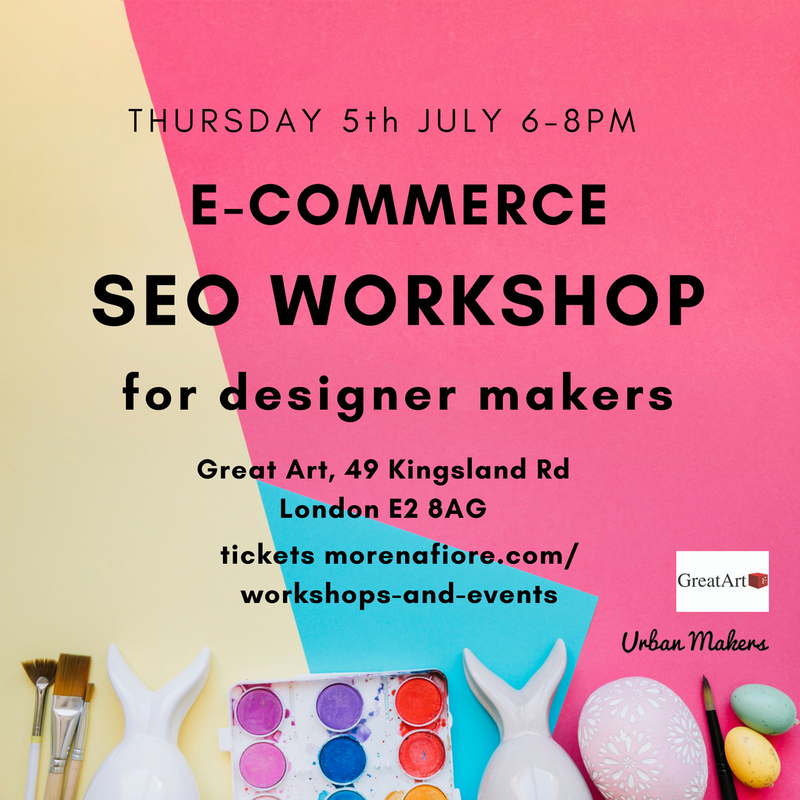 The workshop is organised in collaboration with Urban Makers who will be providing refreshments and will be hosted at Great Art who will kindly be providing the food. Please note that cancellations will need to be communicated via email at [email protected] before the 3rd July in order to receive a full refund. Any cancellations received via email on and after the 3rd July will be subject to a 50% refund.